The increased presence and growth of different online shopping stores in the Philippines is proof that e-commerce has become the new face of retail. In an era where smartphones and internet connection are readily available for almost everyone, crossing out items on your shopping lists has been an easy task even if you cannot leave home. No need to deal with city traffic and tire yourself out checking store aisles; all you need is a decent network connection (and maybe a credit card) and let your fingers do the work. Here’s a list of the top online shopping sites in the Philippines that can provide you with most everything that you need. With estimated monthly traffic of 67,800,000 for March 2018, Lazada is considered as the most popular online shopping site in the Philippines. The fact that they partner with many international and local brands make them the ultimate one-stop-shop for their customer’s needs. Lazada offers a variety of products, from appliances, fashion and lifestyle items, gadgets, home improvement products, and what have you. In addition, this e-commerce site offers a cash-on-delivery (COD) payment method giving their customers the complete online bargain hunting experience. 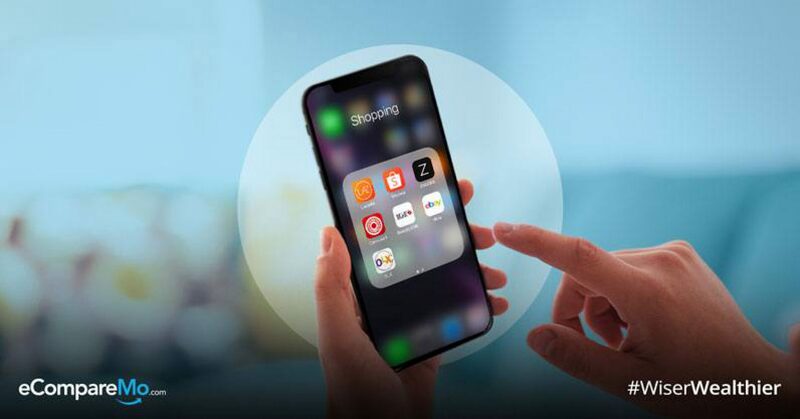 A mobile diversified online shop with more than nine millionmonthly visitors, Shopee is a good marketplace for retailers and buyers. Because of its customer-centric user interface, shopping on the online platform is a breeze. Users can easily filter positive reviews, see comments, and actual customer photos of the products received. Like Lazada, Shopee has a wide selection of items ranging from electronics, fashion, appliances, furniture, baby needs, and more; all at a bargain you won’t find anywhere else. Are you always on the lookout for the latest beauty and skincare products? Then BeautyMNL is indeed the best place for you to shop online. They offer a wide variety of cosmetics from leading local and international brands, as well as haircare, health, skincare, and fitness products, all at low prices. 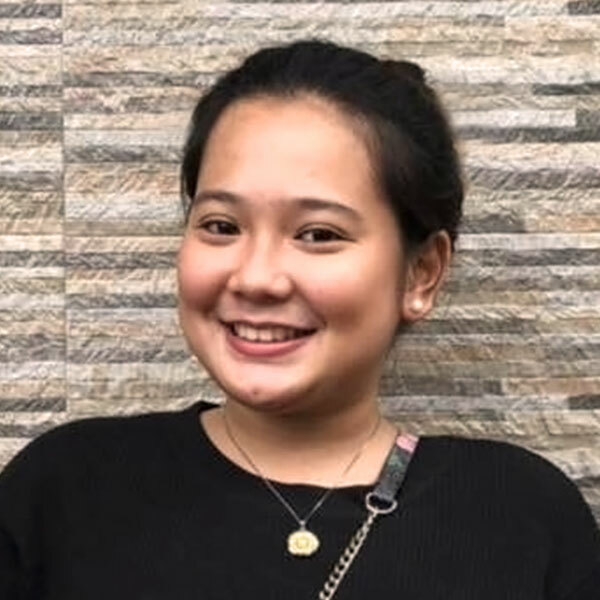 If you want to feel your most beautiful every single day, and it doesn’t matter if you’re a chinita, morena or mestiza, BeautyMNL will definitely be your favorite go-to beauty destination. Online shopping for branded clothes is now made easier with Zalora, an e-commerce site that has partnered with various local and imported brands such as Bench, Converse, H&M, Mango, Nike, and many more. The company’s partnership with different global brands have gained them their website traffic of about three million per month, and the fourth biggest shopping site in the country. Also, if you want to wear something nice but in a much lower cost, Zalora has also produced their homegrown accessories, clothing, shoes, and more. Primarily a place for buying and selling of brand new and pre-loved items, Carousell allows their users to take photos of the products they want to sell and use the platform to find buyers through chat. With an estimate monthly traffic of about 900,000 as of March 2019, the website has been in the position in the top online shopping site in the Philippines. eBay, one of the leaders of e-commerce websites in the US and in the world, has brought its face in the country as eBay Philippines. The local electronic version of the shopping website caters to all general product categories. Considered as one of the pioneers in the internet when it comes to e-commerce, eBay Philippines offers both brand new and used items on every category. Although it was originally created to be a meeting place for consumers, the site has been expanded to facilitate companies selling their products to customers in eBay stores. Formerly known as Sulit.com.ph, OLX is not a website that sells products but is an avenue for people to buy and sell their brand new and pre-loved items. Secondhand finds (which is what is mostly sold there) such as appliances, cameras, smartphones, and automobile, as well as real estate are listed in the website there’s literally a wide selection of products that you can find. If you are a certified gadget freak, Kimstore is a haven for you. With awesome deals for mobile phones, cameras, laptops, tablets, music players, gaming consoles, gadget accessories and more, the website is indeed a one-stop-shop for everything gadgets in the Philippines. Quite similar to Villman Computers, CD-R King, which is a local retail chain company provides an official website for its customers to shop online. The website has built its reputation on providing discounted offers on electronics, computer hardware, gadgets, and the accessories, the website has gained estimated monthly traffic of 580,000 in January 2018. Formerly known as YouPoundIt, Poundit.com aims to be the leading tech e-commerce site in the country. They offer a wide selection of authentic products from smartphones and cameras to laptops and other accessories from top brands such as Apple, JBL, Oppo, Samsung, Sony, Xiaomi, and more. Their delivery speed, as well as the quality of their products, are what customers rave about and what keeps them coming back. This is the most obvious reason why people prefer shopping online than going to the malls. Buying things online is indeed hassle-free as you will be able to avoid long queues and traffic jams. You can shop anytime, anywhere 24/7 as long as you have your internet connection, laptops or computers or even your mobile phones with you. This is most especially useful to mothers with small children as well as those people who work during the days and in times of inclement weather. Having a virtually unlimited choices in online shopping means you can first research for the product and look across multiple vendors before choosing which of them offers the lowest prices as well as to whom delivers the best quality. Online stores typically offer lower prices compared to that of the malls. Some shops even offer a much bigger discount if you order items on bulk, therefore, giving you hefty savings. When you visit a store, you most likely would settle for whatever price the seller has placed on a particular item, but when you shop online, you can compare prices from hundreds of different vendors therefore finding one with the lowest price guaranteed. Online stores will do anything to keep you as their customer. And to do that, they will offer you discounts and vouchers as well as a lot of other rewards. Many websites device a special discount scheme from time to time to attract customers. This for you is a good thing for you can save a lot of money from it. One of the great things about shopping online is the fact that they cite customer reviews for the benefit of other buyers. Consumers can provide feedback not only on the product that they have bought but also on the seller which will be of great help for other buyers to check if the shop and the items that it is legit or not. Also, if this is your first time trying certain products or first time buying from a certain store, you can get some insights and recommendations from the reviews as to what color, size or quality is best, helping you decide fully before you click that check-out button. If you are the type of person who is always on the go, waiting in line for a good 30 minutes to pay for a single item is definitely a big NO. With online shopping, you are not only saving your money on gas but most importantly your time and patience. Unfortunately, some online shops nowadays do not post the actual photos of the items that they are selling therefore tricking you by giving you the same product but with a much lower quality. Before you purchase something online, it is important to ask for actual photos of the item from the seller. Privacy and security are among the main concerns of online shoppers, but on a positive note, there are precautions you can take to make sure your transaction is a safe one. Check for the authenticity of the shop first before keyingin all your important details most especially your bank details. Keep in mindthat it is always better to be safe than to be sorry so think twice before you purchaseanything online. If you buy from a reputable brand or company online, a standard returns policy is to be expected. But if you buy from a small online shop with no standard courier, the ease of returning the faulty item will take you days or even weeks. If someone is unsure of how much value a product may have,there is no way to relieve that concern when shopping online. Clothes or shoescannot be tried on. Electronics cannot be verified until they are received.That means there is a certain risk to an online purchase, even if the productdescription is accurate. If you are buying a product with a much lower cost than yourshipping fee, I suggest that it is better to buy it with someone else who isalso buying the same product for example a colleague or a friend or wait untilyou have other items to buy with it to save on the fees. Online shops rely on third-party shipping companies todeliver their products therefore there is no guarantee as to whether or notyour items will arrive on time. The time lag between you making the payment andthe arrival of the product can sometimes cause you stress as you will beworried if your orders will be useable on the day that you will be needing it. Possibility of product damage while shipping cannot be nullified. If the product received is damaged, it may again take several days for replacement or the company may not provide any replacement at all. When shopping online, make sure that you’re surfing on a safe site. If your computer isn’t protected from potentially malicious software, your financial information and passwords, as well as all the other things that you store on your computer or do online, are at risk from being stolen. If you are not familiar with the website but really interested in something that they are offering, you should first perform your own background check. You can look for sites dedicated to reviewing stores and if the shop you are ordering from isn’t reviewed at all or it does not have a favorable review, then it’s best for you to leave the website and not order from them. Never ever, ever buy anything online using your credit card from a website that doesn’t have an SSL (secure sockets layer) encryption installed. For you to know if the site has one, you can check the URL. It should start with HTTPS instead of the usual HTTP. Depending on your browser, an icon of a locked padlock will appear typically on the left side of the URL in the address bar or the status bar down below. If you see this, you know that you are on a secure site. HTTPS is pretty standard now even on non-shopping sites, enough that Google Chrome flags any page without the extra S as “not secure.” So, a site without it should stand out even more. Don’t wait for your bill to come at the end of the month. Go online regularly and look at electronic statements for your credit and debit cards as well as your checking accounts. Look for any fraudulent charges, even those originating from payment sites like PayPal and others for there are more than one channel to get to your money. If you see something wrong, pick up the phone to address the matter quickly. In the case of credit cards, pay the bill only when you know all your charges are accurate. You have 30 days to notify the bank or card issuer of problems, however; after that, you might be liable for the charges anyway. If you’re shopping via a public hotspot, stick to known networks, even if they’re free, like those found at Starbucks or other local coffee shops and stores. Anytime you enter personal information using a public network, you’re setting yourself up for identity theft. Most Wi-Fi hotspots don’t encrypt your data, so any hacker in the neighborhood, can basically just pluck your identity out of the air if he has the right software to do it. This applies to cell phones, too, since you’re often using nearby Wi-Fi. Be aware when you’re using a hotspot that any information you send through the Internet could be picked up by strangers; if it’s information that could make you vulnerable, wait until you get home to your protected network. It may be less convenient, but it’s much safer. Another essential online safety tip is to create strong passwords for each of your online accounts including shopping sites. We know that it’s a pain to go through and change the passwords on all your online accounts not to mention the trouble that it’ll cost you if you try to remember them all. But if you really want to keep your information (and bank accounts) safe while you’re shopping via the Internet, it’s essential to mix up your account passwords every three to six months. Don’t ever use passwords that are easy to guess such as your name, or anything related to you. Use a mixture of letters and number as well as punctuation marks. Have a different password for each site you use. These are just some tips for you to enjoy a safe online shopping experience because we all know how criminal minds work nowadays. It is best to keep these tips in mind before buying from a site.